Energy management systems capable of controlling the specific temperature in each room are a must for any modern healthcare facility, as is the case with The Harbour building, whose construction was recently completed. Developers Integrated Health Projects (IHP) successfully commissioned the new £40 million mental health unit, which will be used by the Lancashire Care NHS Foundation Trust. The Harbour is located on the Whyndyke Farm site, just off the M55 in Blackpool, and will provide a total of 154 beds. The development provides modernised inpatient mental health services and improves the quality of care it delivers. The building is mainly single storey with administration services located on the first floor. 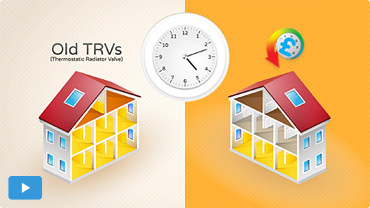 Any modern building (and especially those in the healthcare sector) that require the implementation of some very comprehensive and effective energy management systems, should also seriously consider putting in specific zoning measures, and that’s exactly where the HeatSave programmable wireless thermostatic valves can really come in handy.